The biggest part of the participation fee in EEE is devoted to cover the costs from the conference venue. The detailed explanation of the fee could be found below, but for the sake of transparency we want to emphasize that this conference is only non-profit and based on the values of sharing and friendship. This year we have tried to keep the conference fee on the same level as the previous years. The pricing structure encourages participants to book as early as possible in order to get the lowest conference fee. We have also tried to simplify the payment process as much as possible. The conference officially starts in late afternoon of Thursday (3rd of May, 2018) and finishes on Monday morning (7th of May, 2018). Food and accommodation from Thursday evening until Monday morning are included. 1st installment – paying the Conference fee when signing up. Your registration for the conference will be validated when the Conference fee will be received. We will send you a confirmation letter when we will receive your payment. 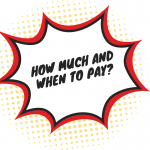 2nd installment – the Hotel fee ( accommodation in shared room or tenting, all meals, shared rent of seminar rooms, coffee/tea breaks) will have to be paid on the arrival directly to the hotel. accommodation in Hotel Margis from May 3 afternoon until May 7 morning. all meals, from dinner on May 3 to breakfast on May 7.
access to swimming pool and bathroom facilities in the hotel from May 3 evening to May 7 morning. all meals from dinner on May 3. to breakfast on May 7. There is no possibility to pay a reduced price when participating only part of the conference. If you have any ‘financial doubt’ – please check our scholarship fund opportunity. We hope, that the system is clear to you, please proceed with the signing up process. If you have any doubt or request, please do not hesitate to contact us. EEE 2018 – Where is it and how to get here? 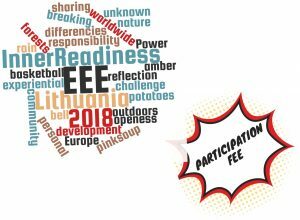 EEE 2018 – Sign up now! EEE 2018 – Who signed in? EEE 2018 – How to contact host?